This turned out to be a tasty main dish. I served it with a spaghetti squash and fresh tomato casserole. The Italian sausage that I use is very lean. It comes in a 1# bulk package, not in links. 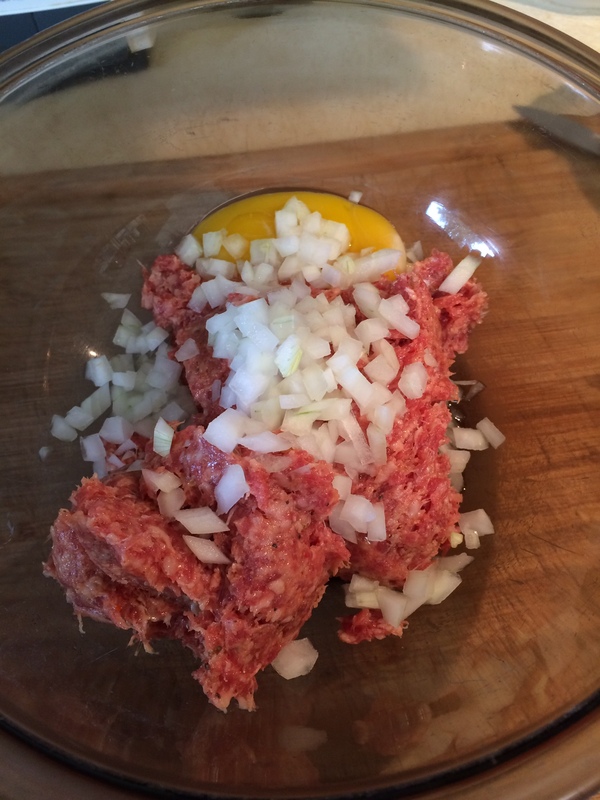 I would hesitate to use this recipe with a high-fat sausage, I think you would have a mess on your hands. 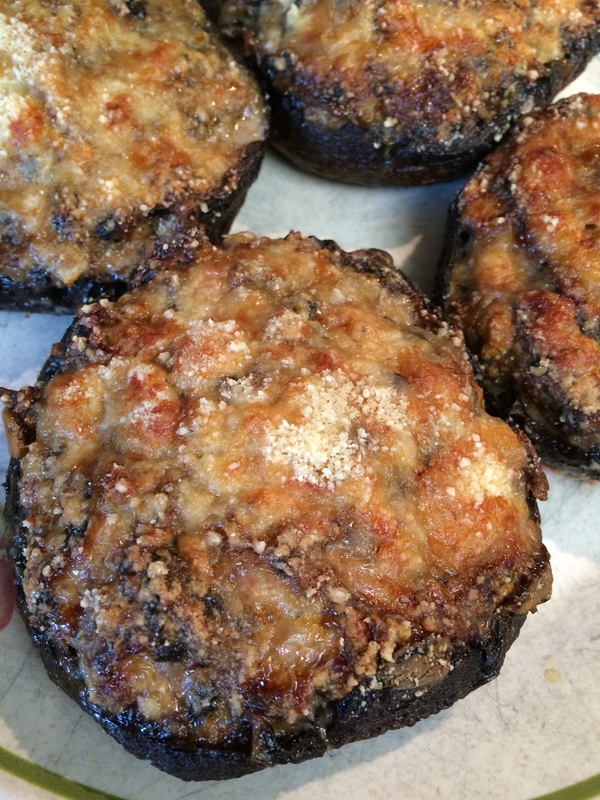 Someday I may try these stuffed with breakfast sausage and served with eggs. Yum. 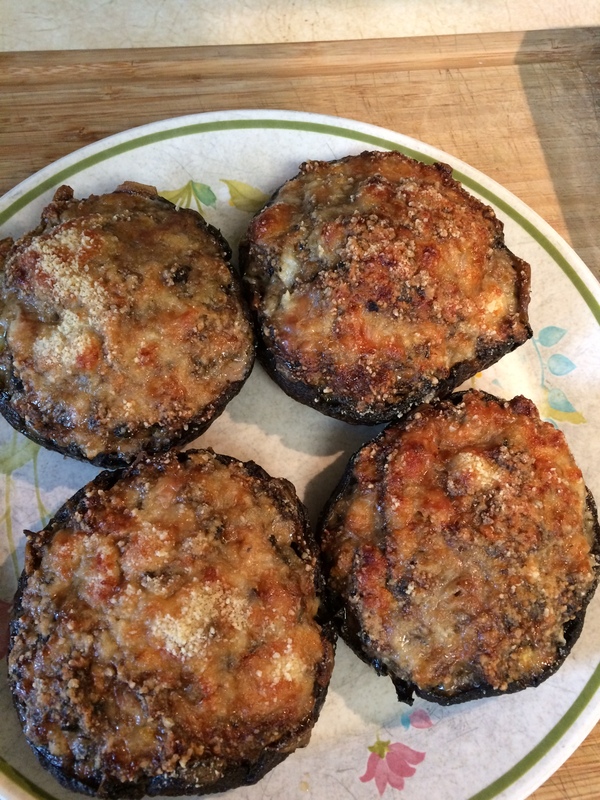 Preheat oven to 375 degrees F. Spray or grease a 13×9” baking dish. 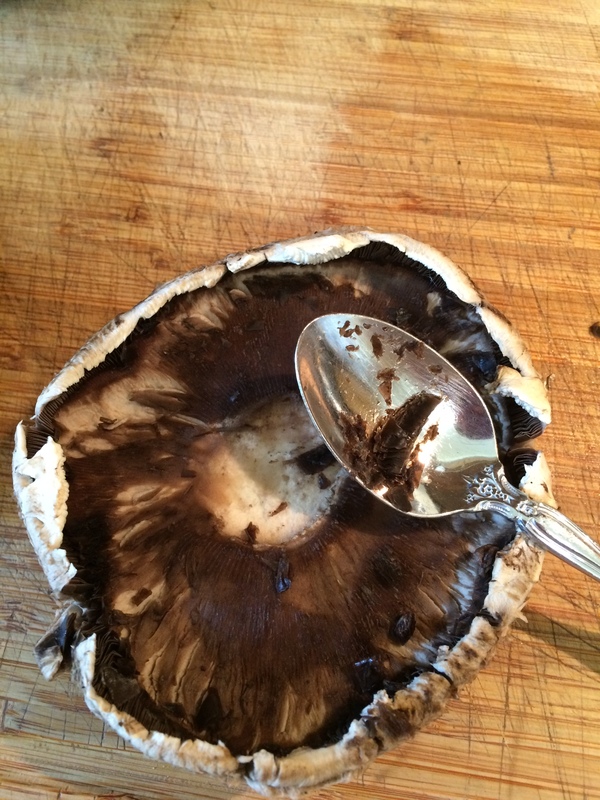 Remove the stems and scrape the gills out of Portobello mushrooms with a spoon. Save the stems for a later use, like in soup or pasta sauce, but set aside the gills for use in the filling. 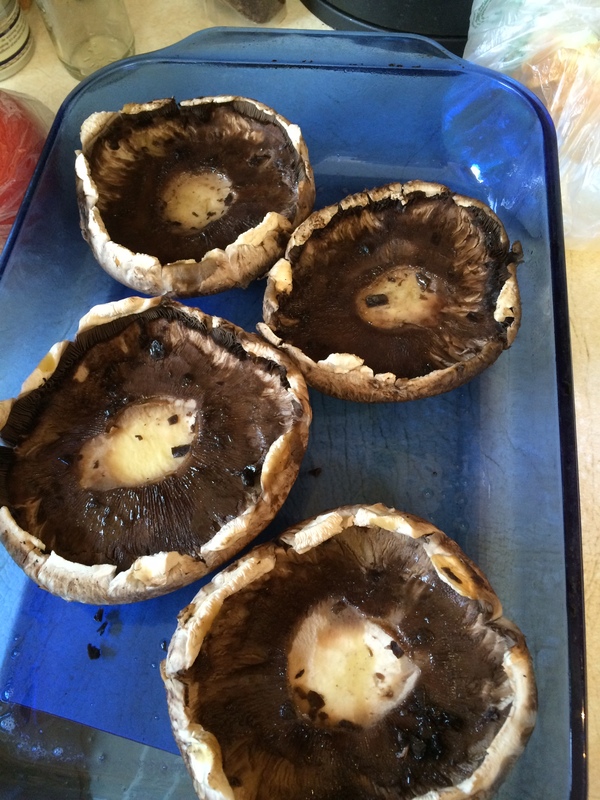 Rub each mushroom cap with olive oil on both sides as best you can. Stir together Italian sausage, egg, onion, mushroom gills, and bread crumbs. 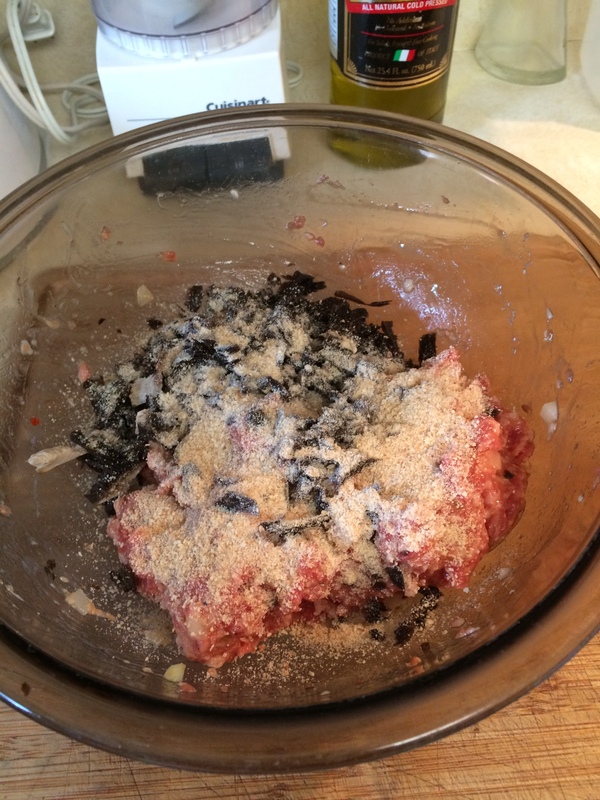 I tried not to use much bread crumbs and it would probably work without any at all. 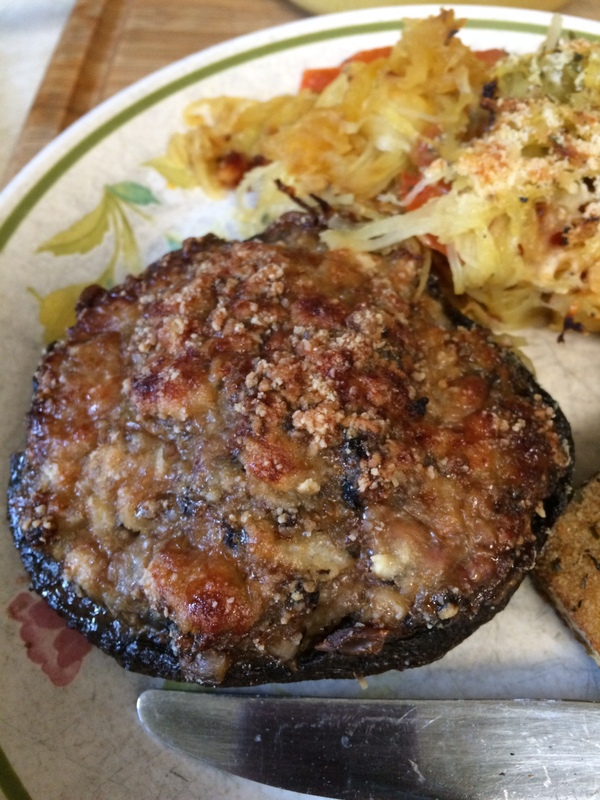 Fill each mushroom cap with the sausage filling. 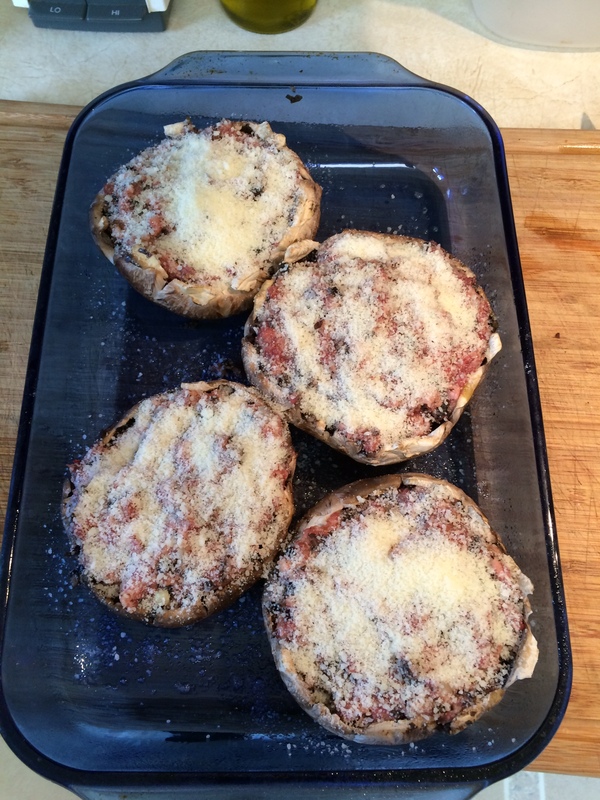 Sprinkle the tops with Parmesan cheese. Bake for 50-60 minutes—be sure the sausage is thoroughly cooked.